Tie-on coloured document pockets helps protect and highlight important messages, these display pockets are perfect for use on mesh cages or trolley handles. Tags: mesh cages, document pockets, tie-on pockets, tie on document pockets. 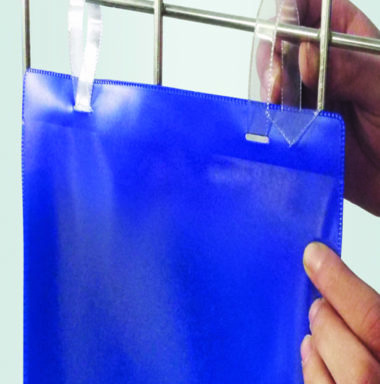 Traditionally keeping pockets secure and clean on mesh cages and trolley handles has been difficult. Using these highly visual coloured document pockets will get round this problem. The pockets which are available in 5 colours and 2 orientation formats – vertical or horizontal.